and she has selected some fabulous items for Uncle Ricky's! 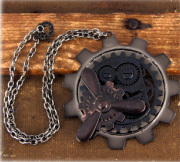 Cool new steampunk-themed jewelry - necklaces, pins, rings - SO cool! 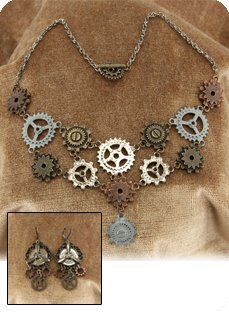 Fabulous wire-embellished earrings - in pewter and brass colorations. 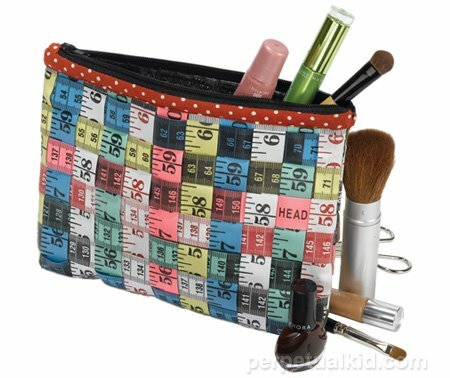 Woven tape measures create an adorable make-up bag. This adorable purse has just arrived at Katie's Closet! Comes with attachable shoulder strap. 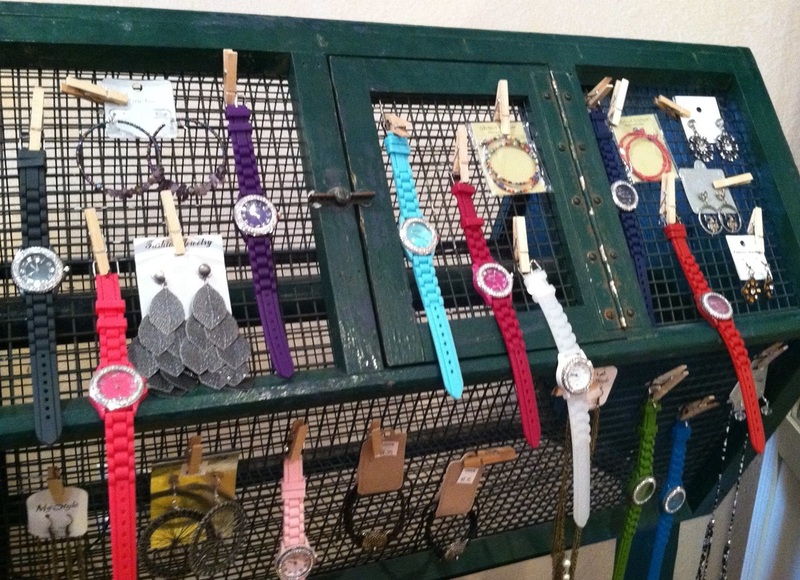 Glass beads are crocheted into these beautiful bracelets. 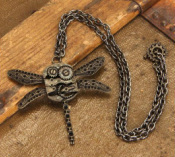 Designed and created by local artist Robert Baker, these necklaces are made from metal washers, and embellished with designed papers and attachments - very cool! 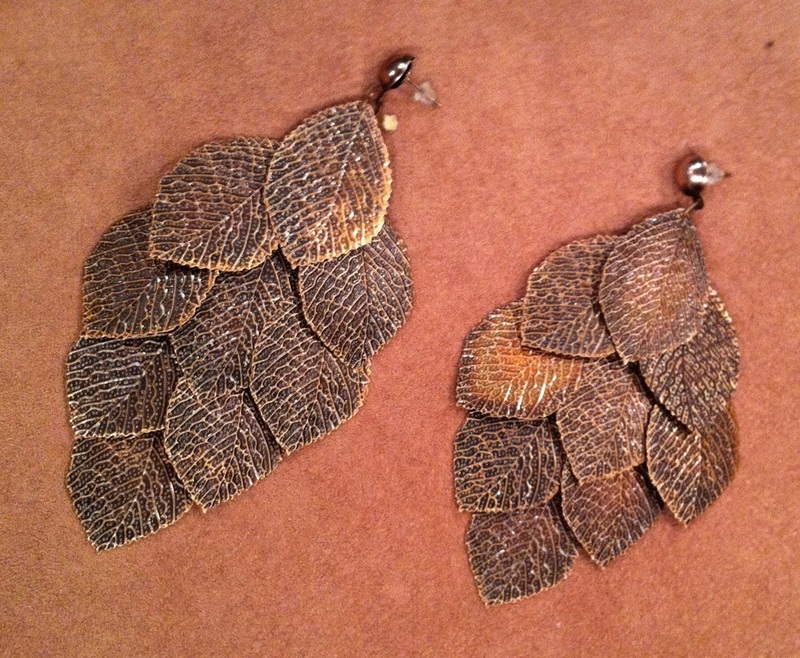 Individual metal leaves are attached to these earrings - stunning! 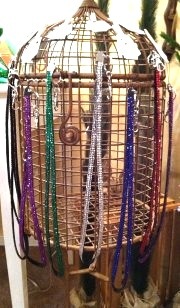 Sparkly lanyards for your keys & IDs! During our recent "Wine About Winter" event, Uncle Ricky's was thrilled to host Julie Lushbough from Mattie~Jules Creative Ring Art & Jewelry Designs. 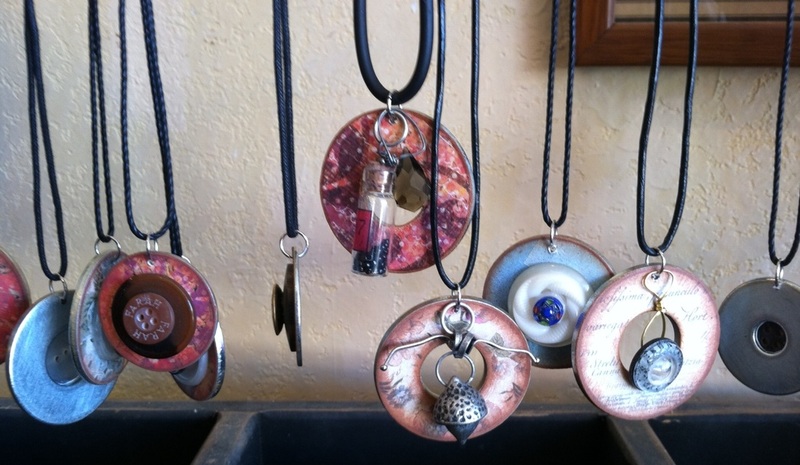 She created jewelry masterpieces from buttons, embellishments & wire that are not to be believed - and they're ready on the spot! Your response to Julie's visit was so overwhelmingly positive, we're planning on having her back on April 14 for another wonderful event! Thanks Julie!